Jack O'Neill, the pioneering US surfer and designer, has died aged 94. He passed away peacefully at his seaside home in Santa Cruz, California, with his family by his side, O'Neill's friends told KSBW news. He opened his first surf shop in San Francisco in 1952, and popularised the use of the neoprene wetsuit for coldwater surfing. His firm grew to become one of the world's biggest surfwear brands. His son took over the business in 1985. In an interview in 2011, Mr O'Neill said: "Surfing for me was a very important part of my life. I'd work downtown in San Francisco and I'd get all screwed up, and I'd go out and I'd jump in the ocean and everything would be all right again. "All I wanted to do was surf, and when I opened that shop in my garage, I thought I would have a few guys there to sell suits and have guys to surf with. "Nobody is more surprised than I am about how this business has grown," Mr O'Neill said. After working as a pilot in Naval Air Corps in the 1940s, he moved to San Francisco and joined a hardy group of coldwater surfers at Ocean Beach. There he started experimenting with neoprene, a material already being used in the US Navy. He went to surplus stores and started sewing pieces of material into vests, according to the San Francisco Chronicle. Later, this idea grew to become the full-body suit that made his name. Although he is not credited as the wetsuit inventor, he was one of the pioneers of the neoprene version, which transformed the sport. 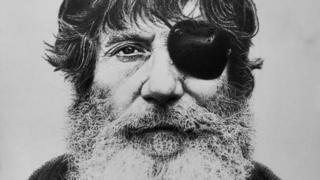 In the early 1970s, he lost the sight in his left eye while testing one of the first prototypes for a surfboard leash, and afterwards wore a characteristic eye patch. The ocean-lover was known to be a private man and rarely spoke to the press. "O'Neill was one of the least-known, and least-talked-about titans of the surf world," read his obituary in Surfer magazine. He said his proudest achievement was the Sea Odyssey programme, which introduced schoolchildren to marine conservation.